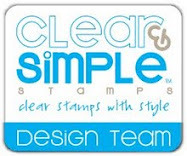 Just a reminder that there is a $1 off Discount available for the Summer set from Clear and Simple Stamps this month. I liked the set so much I had to order it for myself. Here is the first card I made. Hopefully I'll have more time to play this weekend. Thanks so much for stopping. Enjoy your weekend. This is great Beth - love it. 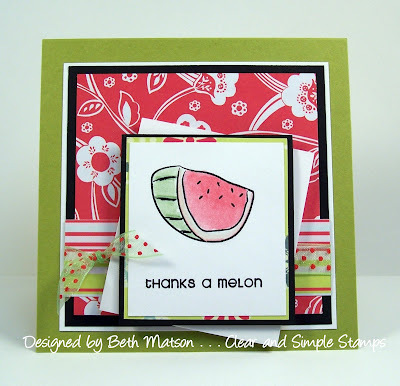 The coloring on the melon is super - very cute card! Great coloring and I really like the layout you used and how one of the pieces is off angled! Great summer thank you card, Beth. I just added this set to my collection, too. I really like this card, Beth - so nicely done. I love the colors and the layers.